Hope you all are doing just great! 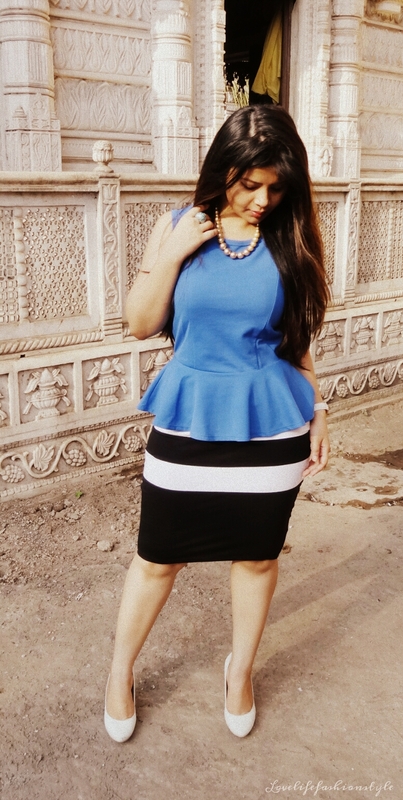 So, I wore this beautiful peplum top in color blue yesterday with one of my favourite pencil skirts. 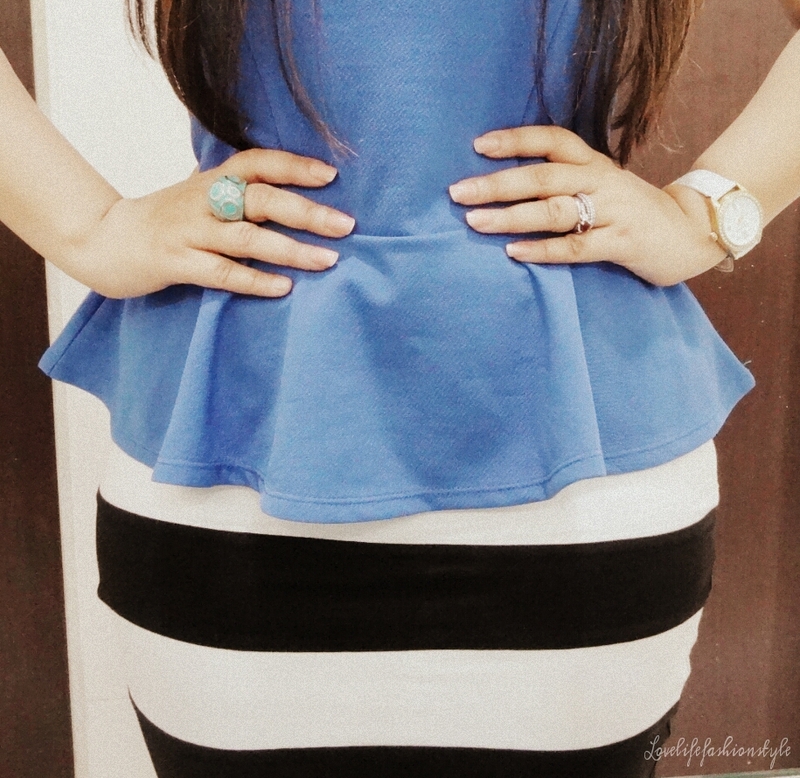 Now, there’s something about the peplums which gives you that polished feminine touch which is corporate appropriate. The flare which starts right beneath your waistline helps you retain your shape. You look awesome Urva and the monochrome skirt is suting you well. Im glad that you considered me for the Leibster Award. I am actually looking forward to writing about it very soon. Have checked your page and you are doing pretty fab. Loved your work … Keep it up.